Page 3 – Helping businesses integrate and maximize mobility in their organizations through technology and brand experiences. If there’s one thing that unites all of us here at Fusion of Ideas, it’s good, healthy competition. Over the years, we’ve held countless games and competitions at our office in Lake Forest, and occasionally offsite. To name just a few: Mario Kart, foosball, Guitar Hero, golf, scavenger hunts, escape rooms, ping pong, Pogs (remember Pogs? ), and our annual Office Olympics, which consists of seven separate competitive events. Take any activity, pit teams or individuals against each other, and you have a successful Fusion event. So it should come as no surprise that a few years ago, many of our team members were hungry for more. Waivers were signed, a roster was assembled, and in 2014, the Fusion of Ideas team played its debut season of softball with the Irvine Athletic Department. To put it mildly, the competition was a bit tougher than anticipated. But our team soldiered on, savoring even the faintest taste of victory each time we reached a base, scored a run, or fielded a hard-hit grounder. “It’s rough out there,” said Director of Operations and starting pitcher Andrew Nielson. “Somehow, our opponents have been able to hit right through the gaps in our defense. We’ve been working on finding the right configuration of outfielders, tightening up our infield, making the easy outs on defense in general, and having more productive at-bats on offense.” When asked whether he’s optimistic for improvement in future seasons, Nielson said he was still hopeful. You probably can’t help but think of the obvious parallels between this scrappy team and the 2002 Oakland Athletics in the movie Moneyball. Piecing together runs using a sabermetrics approach, as illustrated in the movie, has proven much more successful for Fusion than swinging for the fences. It takes patience and experience to recognize that bases on balls, smart base-running and well placed soft hits can be highly effective at manufacturing runs and creating momentum. But even this approach takes time to cultivate. 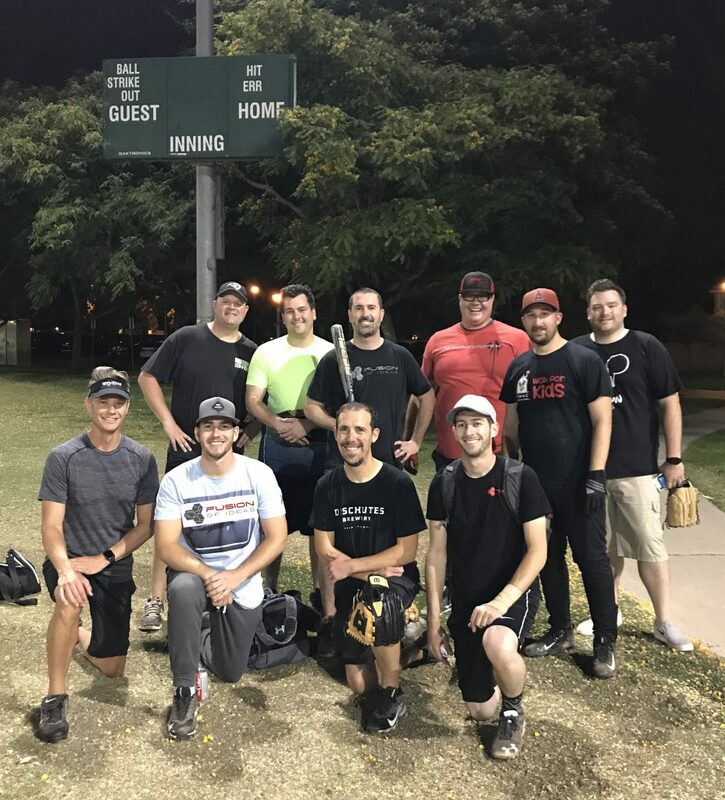 The Fusion of Ideas softball team recently completed its fifth season. There were highs and lows, great games and not-so-great games, but never an absence of good sportsmanship and fun (for the most part). Everyone loves an underdog, and our team plays that role to a T. Here’s hoping the 2019 season is our best one yet. Throughout our many years of customization experience, Fusion of Ideas has worked with clients in almost every industry – healthcare, education, food service, construction, entertainment, fashion – the list goes on. We relish the chance to impress our clients by customizing devices or mobile apps for their employees or customers. But for many of our movie-obsessed team members, it’s hard to deny that it’s especially thrilling when we get the chance to work with clients who are in the entertainment business. 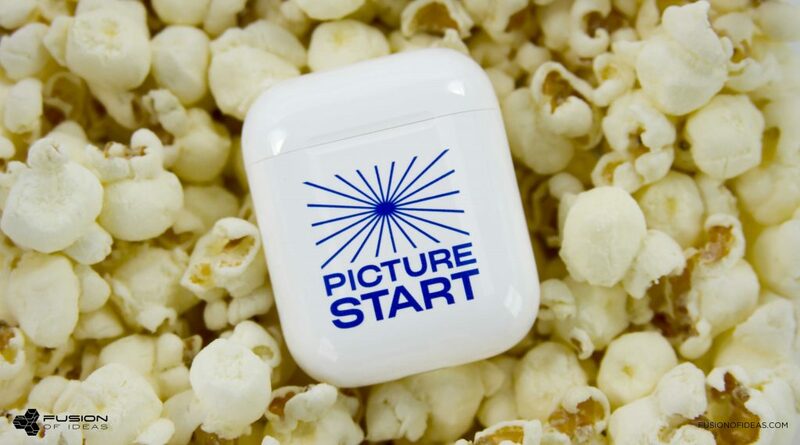 PICTURESTART is a production company who set out to find a customized tech gift for 200 top clients and company executives. 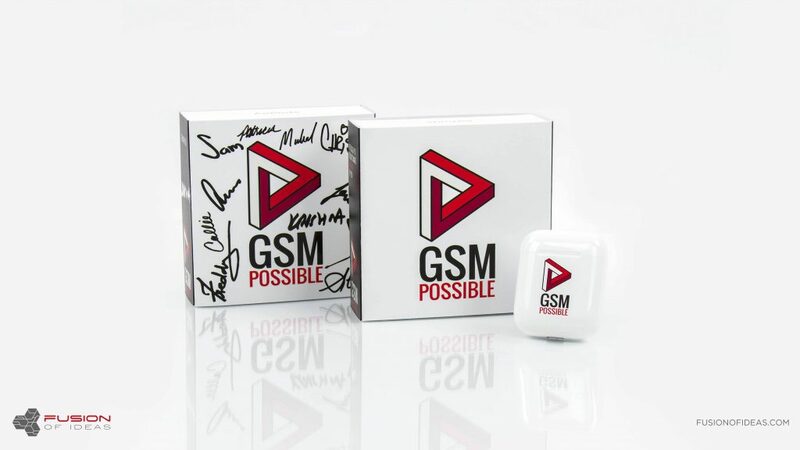 Our design and business teams went to work, collaborating with the PICTURESTART decision makers to create a sleek logo print for Apple AirPods. 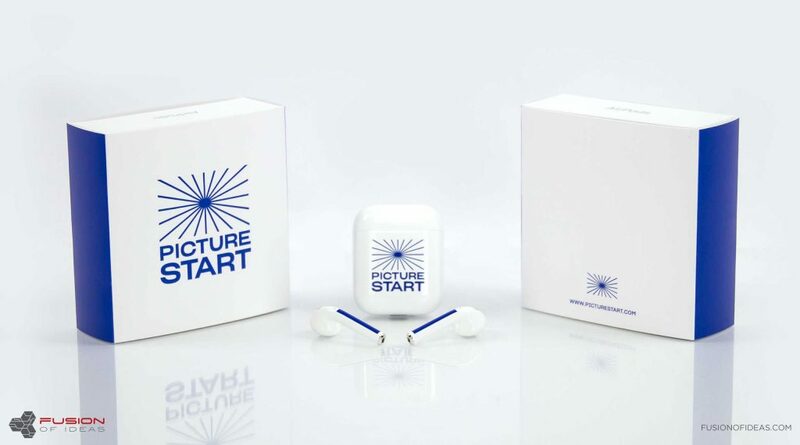 The PICTURESTART logo is printed on the charging cases for the AirPods, the stems of the AirPods are printed with a clean blue stripe, and to round out the project, we did a custom sleeve to fit over the AirPod box. 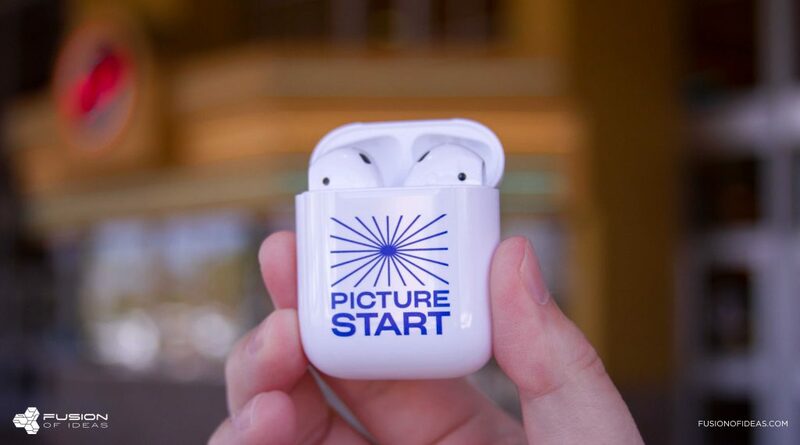 PICTURESTART is focused on youth-oriented movies and shows, so the colorfully printed AirPods were the perfect way for the new company to announce itself as a fresh and innovative presence in the film industry. The mobile application landscape in 2018 is saturated with a dizzying array of apps, ranging from straightforward and simple to complex and colorful. Business owners are faced with the challenge of building an app that is visible, user-friendly, and detailed all at once. At Fusion of Ideas, we’re aware of just how easy it is to gravitate towards a “more is more” solution. After all, there are countless technologies and functionalities available in the app development world. But we also know that an excess of options can lead to a chaotic and overly complicated final product. That’s what pushed our app development team to come up with a much simpler app solution for clients: the Dynamic Content System. The DCS approach, our version of what’s known as a CMS (content management system), can check all of those boxes without breaking the bank or overly complicating your app. It’s customizable yet simple – the general concept of displaying content using a list or menu view does not change, but the format, fonts, colors, designs, and logos can all be customized. As the client, you’re equipped with an easy-to-use web admin portal where you can continuously make changes to the content on display. This gives you a streamlined way to create and manage an app without having to hire a dedicated developer. After an initial design and development period with the Fusion team, the app is entirely yours to control. The end result: a cookie-cutter setup process with unique, personalized results. This is the user view of the Kidd’s Kids DCS App. One of our clients, Kidd’s Kids, is a nonprofit group that strives to bring joy to kids who are dealing with life-altering conditions and their families by sending them on an annual trip to Walt Disney World in Orlando, Florida. The organization was looking for a way to display event information as well as a photo of each child with their name, hometown, and favorite Disney character. 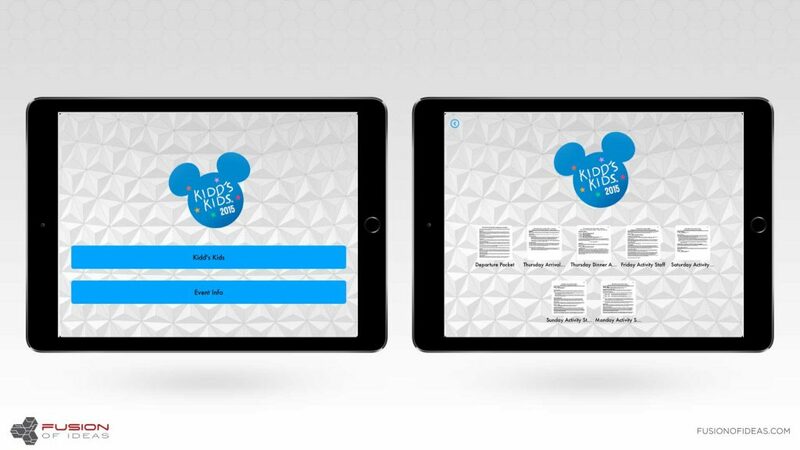 The finalized app features the Kidd’s Kids branding and logo as a backdrop, with a simple menu of options to choose from. Each of the families received an iPad equipped with the app, so they could easily open it up and scroll through the photos or look for event details. The app placed important information at their fingertips, and gave them a simple way to learn about the other recipients on the trip. This is the admin view of the Kidd’s Kid DCS App. Fusion of Ideas strives to meet a higher standard than most other companies that offer a CMS-type service. Because our development team (which is entirely based at our headquarters in Lake Forest, California) have gone through several iterations to perfect our DCS solution, your app can be delivered in just a two week time frame. Our designers will also build a custom application icon with your company’s branding, logo, and/or artwork, depending on your aesthetic preference. Your app icon will be yours – not that of a third party app development company. You won’t see any Fusion of Ideas branding within the app either. The focus is completely on your company and your content. Check out the complete list of what’s included in our DCS package below. Fusion of Ideas was recently featured in Construction Executive, the magazine for the business of construction. 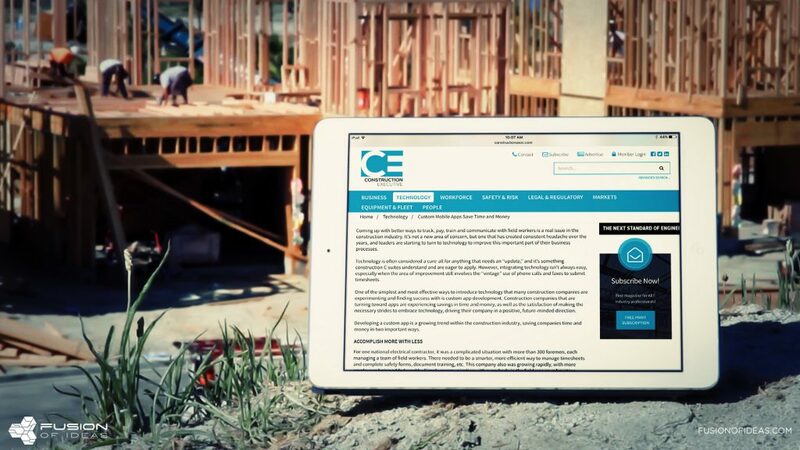 Because we’ve developed several mobile applications for construction industry clients, we were asked to write an article about the ways our clients have used technology to solve business problems and to save time and money. The article details some of the types of tasks a custom app can accomplish, and the satisfaction that comes from embracing technology and moving in a positive, future-minded direction. If you’ve ever hired a company to customize a product for yourself or to give as a gift, you might understand the anxiety that stems from not being able to see your finished product until it’s done. Or worse, the disappointment you feel when you’ve paid and waited patiently, only to come face to face with a result that’s not what you’d hoped for. A vast and growing number of retail industries are placing an emphasis on custom products, from bespoke wedding dresses and men’s suits to vitamins and skincare. 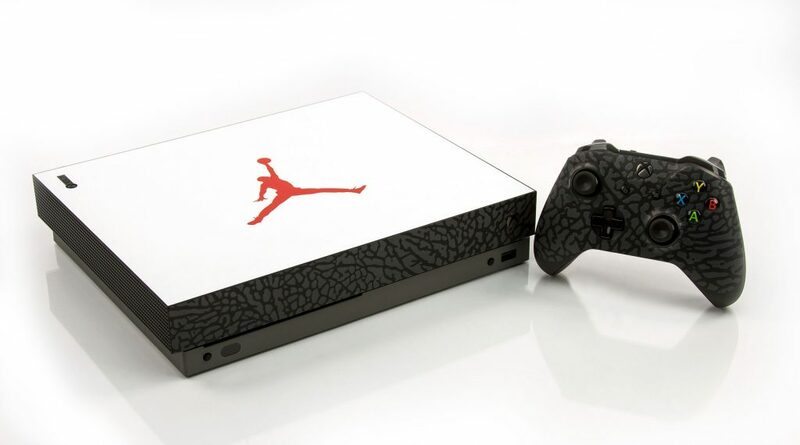 In theory, this is a great thing for consumers. But many companies require a deposit or even payment in full before providing their customers with a visual of the planned design, and that can be a recipe for disaster and disappointment. Take a look at some of the examples in this post. Each mockup displays six customized service offerings. 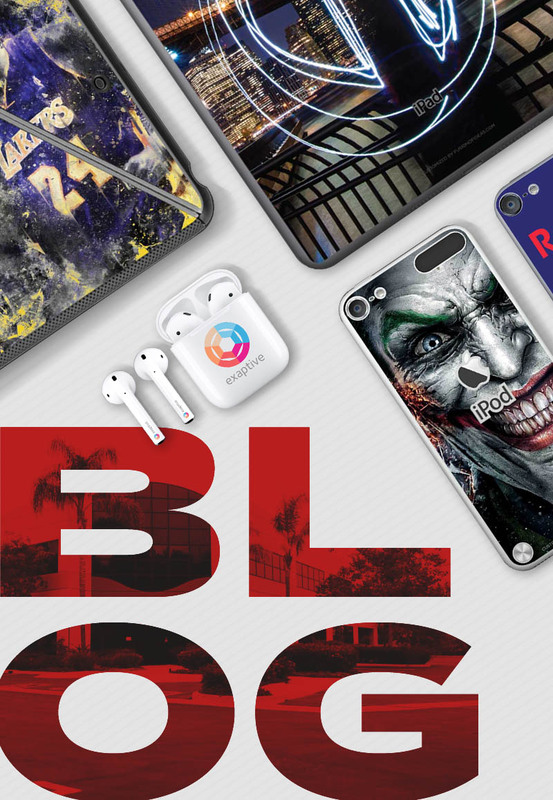 Our creative team incorporates the look and feel of your brand into each different device, which gives you multiple options to choose from. 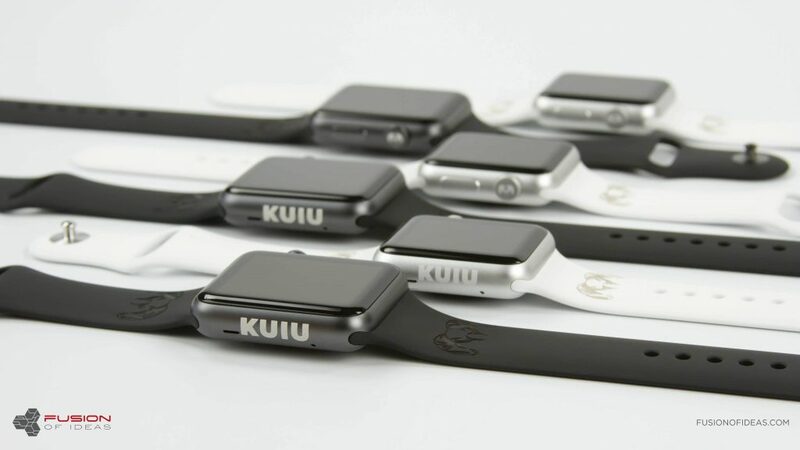 When you are investing in a high-value item such as a mobile device, you need assurance that anyone altering that device will treat it with meticulous care and attention to detail. Fusion of Ideas establishes that level of service from the start by putting diligent thought and effort into every individual mockup. 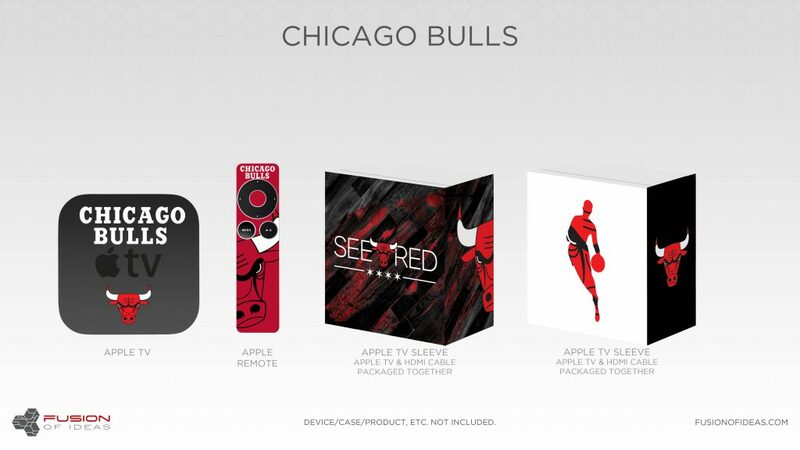 The Chicago Bulls pre-production mock up. 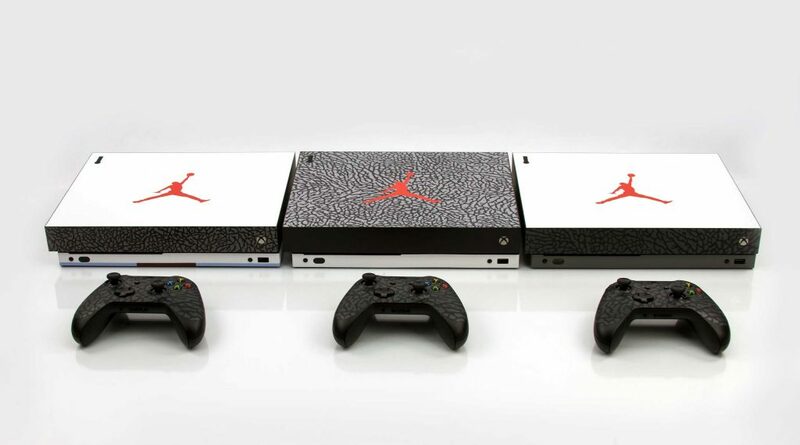 The Chicago Bulls actual completed project before shipping. 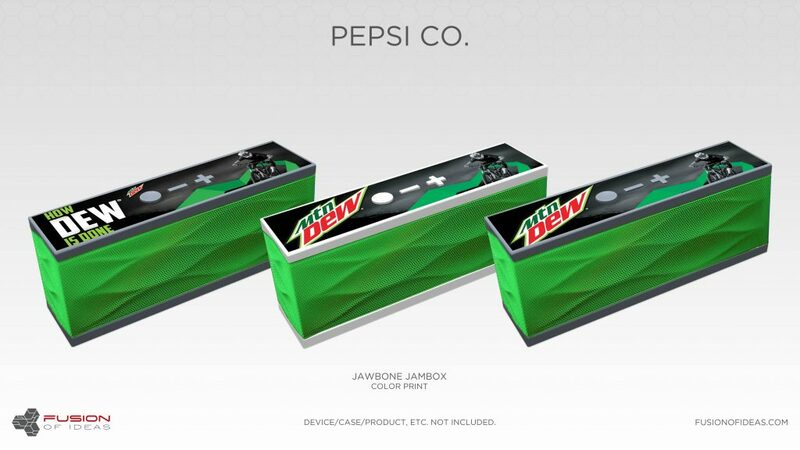 Pepsi Co. Mountain Dew pre-production mock up. 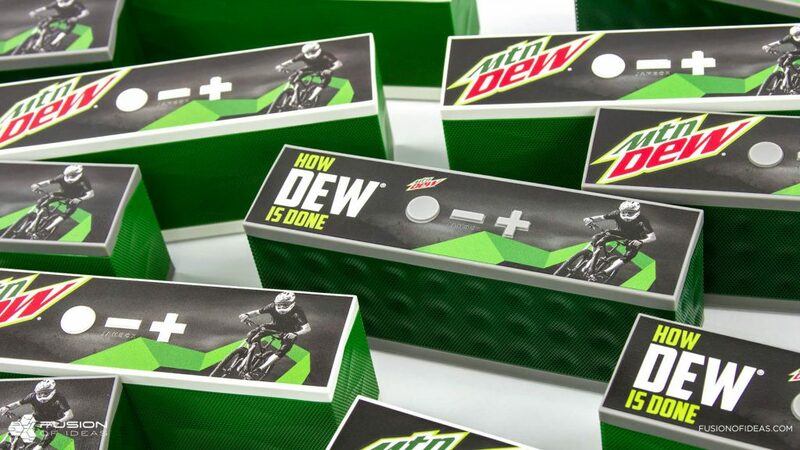 Pepsi Co. Mountain Dew’s actual completed project before shipping. KUIU’s actual completed project before shipping. (Repost from Friday) Happy National Donut Day! 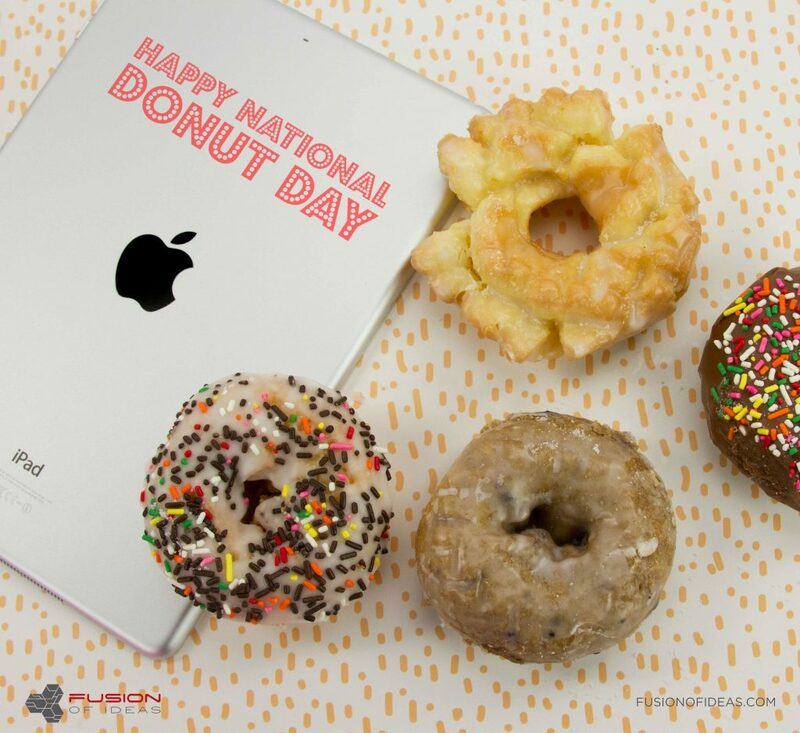 The Fusion team celebrates donut’s every Friday (no joke, and we have Fruit Monday’s to counteract), so having National Donut Day fall on our Friday donut celebration makes it just that much better. 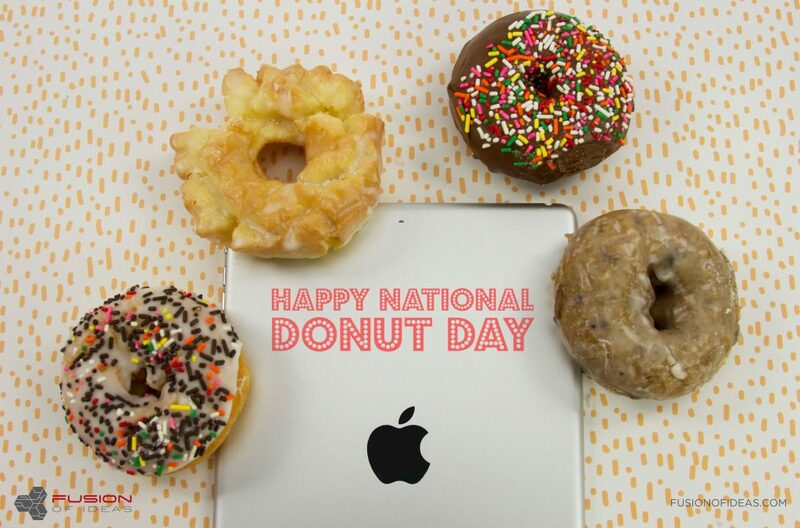 We hope you had a chance to grab a donut today! 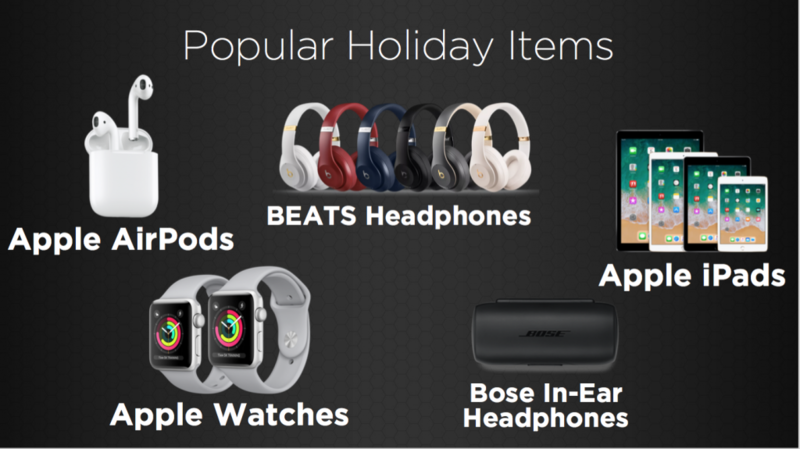 We’re predicting that the Apple HomePod might be at the top of many gift lists for the holiday season later this year. 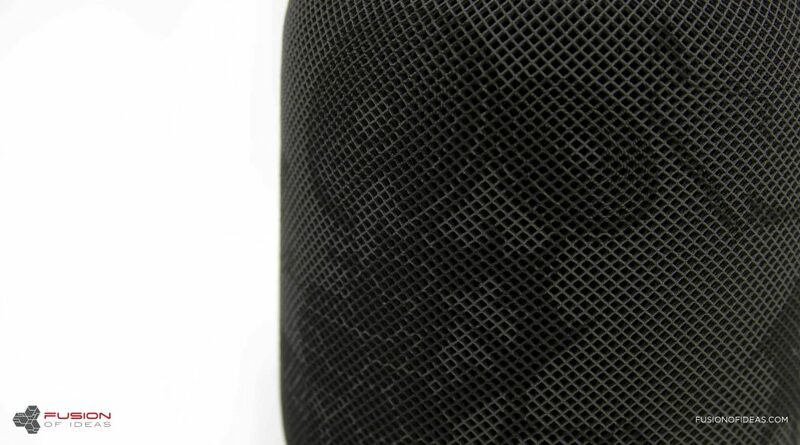 The HomePod already gets major cool points as a gift, but when you add laser engraving, custom printing, custom packaging, and custom gift wrap, you take it to a whole new level. Our Business Development Team made a very cool video to show how you can customize a HomePod. Check it out! It was almost exactly a year ago that the Xilinx project went down in Fusion of Ideas history. The new Apple AirPods had just been announced, and everyone was anxiously waiting for them to hit the market. A few months had gone by since Apple’s announcement, and the public wanted to know when the AirPods would be arriving in stores. Small batches of AirPods were released to stores, but were immediately sold out. Fusion was told that it would be awhile before businesses would have the opportunity to purchase them in large quantities, because production was just not fast enough to keep up with the demand. 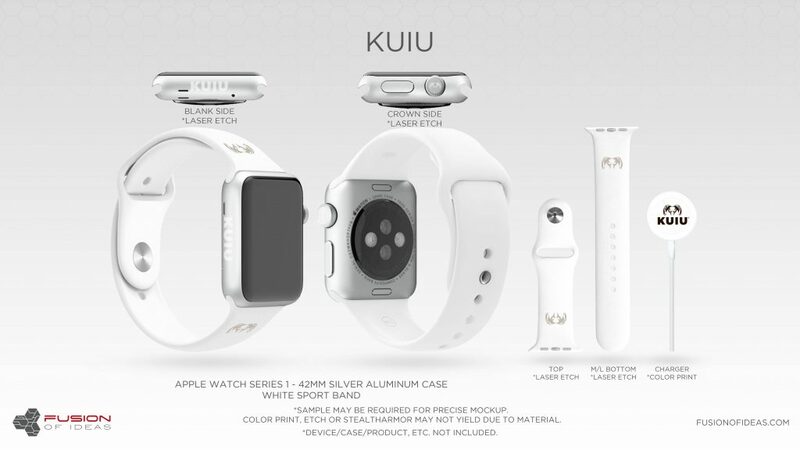 Then Xilinx reached out to Fusion after being referred by Apple. They had 800 AirPods (a big deal, since stores hadn’t even received this many yet) and they wanted to find out more about our customization services. Xilinx was planning to give AirPods to each of their employees as a special gift from their executive team. They wanted to customize the AirPods’ white custom casing with the Xilinx logo. They also wanted to send the AirPods to employees in unique customized packaging to show their thanks and appreciation. Fusion was their one-stop-shop for getting both of those things done in record time. 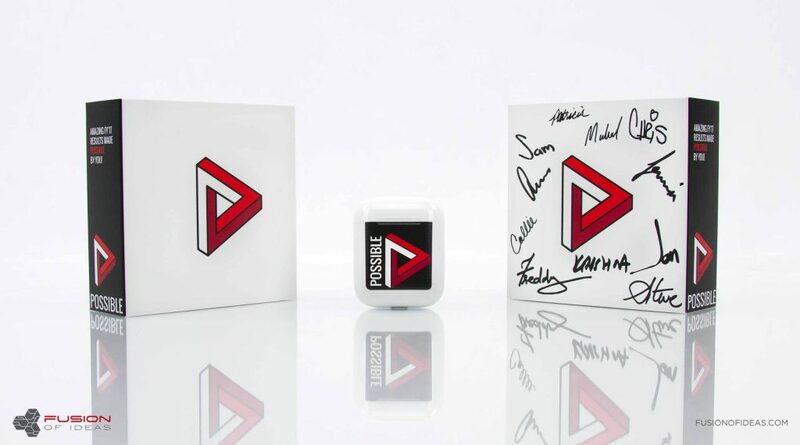 The custom packaging included signatures of all of the executive team as part of the design, meant to show their appreciation. A question we get a lot at Fusion: “You’re a well known customization company – what made you get into app development?”. 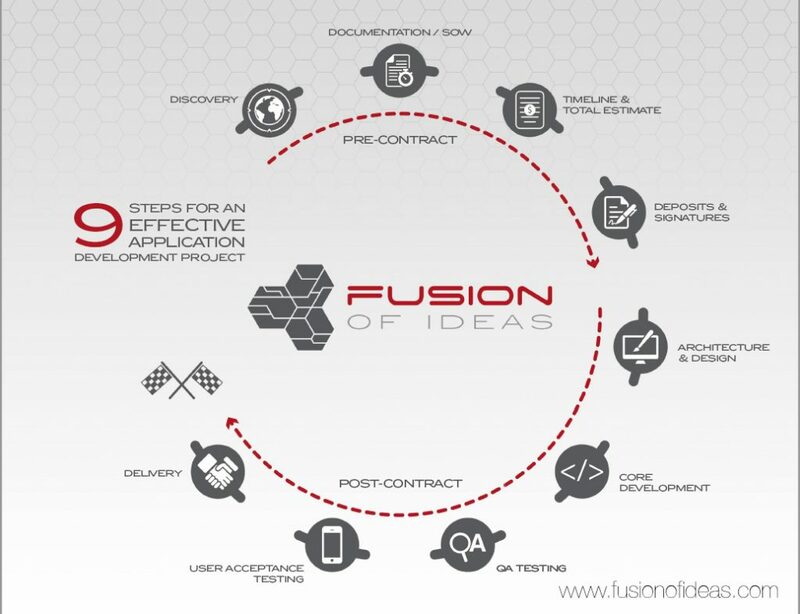 We decided to take the time to answer that question and provide some history of how Fusion’s app development service came to be. That’s when Taylor brought on Tyler Harmor, someone with extensive development and leadership experience, as CTO of Fusion of Ideas. Harmor was given the task of creating a team of developers and designers with the ability to understand the client’s vision, map it out in detailed a statement of work, and then produce each custom application on time according to their specific deadlines. Harmor was asked to do all this while adhering to the Fusion of Ideas commitment to being a one-stop-shop for all service offerings, which means all of our work takes place under one roof in Lake Forest, CA. At that time, many companies were outsourcing their app development overseas. But clients were becoming increasingly frustrated with the disconnect, language barriers, and long waits for communication and updates. Hiring all of our iOSdevelopers to work in one location would provide a high level of customer service in which clients could easily communicate directly with their application’s developers. Comprehensive details could be communicated with minimal miscommunications, and any questions or requests for app updates could be answered in minutes, rather than hours. So Harmor hired a team of the best developers in Southern California, and app development quickly became one of Fusion’s cornerstone product offerings. 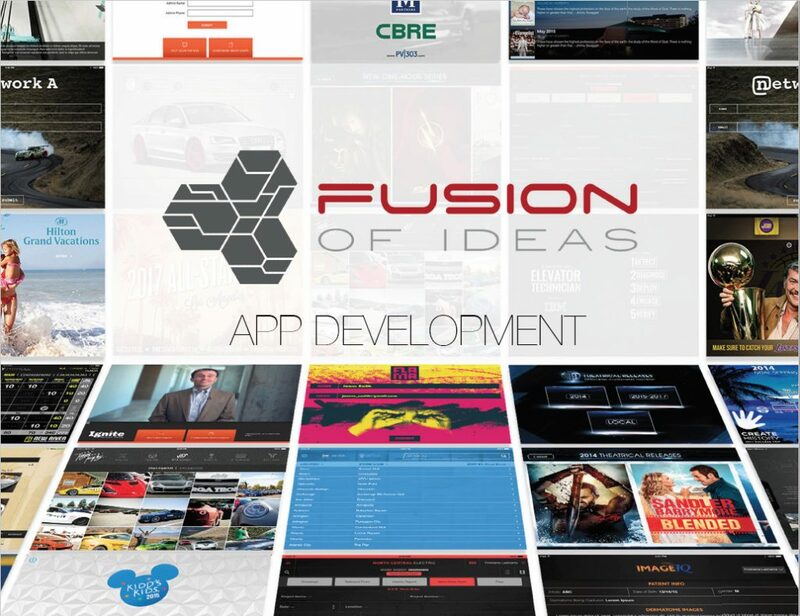 Less than two years after mobile applications were introduced to the world on a consumer and business level, Fusion had entered the app development industry. Fusion’s first three clients were the New York Public Library, Jack Nicklaus, and California Pizza Kitchen, in that order. The first Fusion of Ideas app development client was New York Public Library (NYPL). NYPLneeded an internal application for their librarians that would serve as a liaison between their database of library assets. NYPL had worked with Fusion of Ideas on some other projects, and knew that Fusion would produce a top-notch product for them. Integrating the outdated system into a custom application presented many technical challenges and required a significant amount of work for Fusion, but the end result was an app that successfully tied into the NYPL database and enabled librarians to search for publications and other assets. With the release of the new app, Fusion helped the NYPL step into the mobile age. Following the NYPL app, in 2011, Fusion created an application for Jack Nicklaus, who was actively looking for investors for new golf course projects. 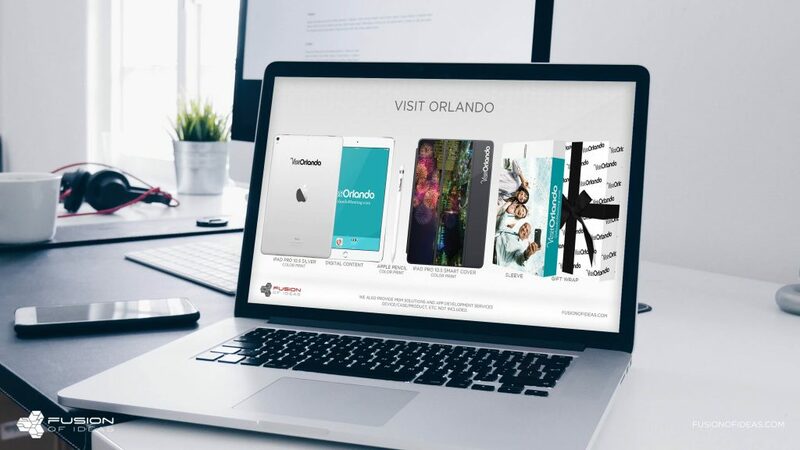 They wanted to create a custom application that would loaded onto iPads and given as a gift to potential investors. The app would invite the recipients to learn about the business and potential investment opportunities. Fusion created an application that housed information about the golf course, videos, brochures, and other marketing collateral. The “wow factor” of the project brought them back to Fusion for additional applications and services over the years. 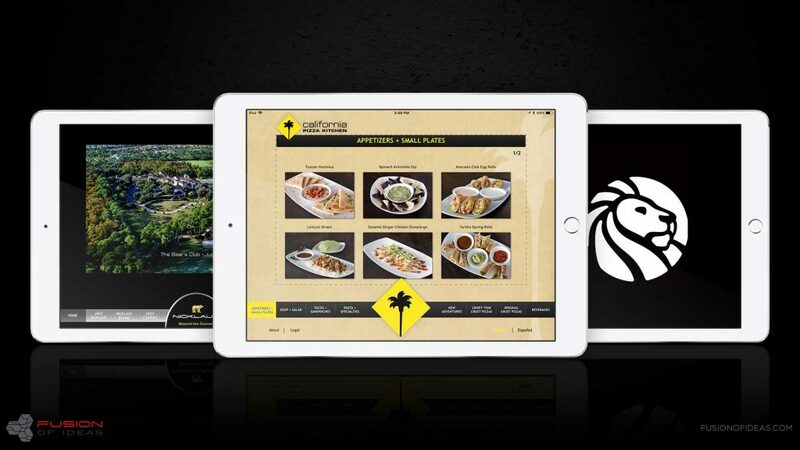 California Pizza Kitchen (CPK) wanted to create an easy ordering app that would be used to test a Spanish language menu in some of its locations. The application housed an ordering portal and detailed menu information, and was utilized in several CPK’s across the nation. What’s next? 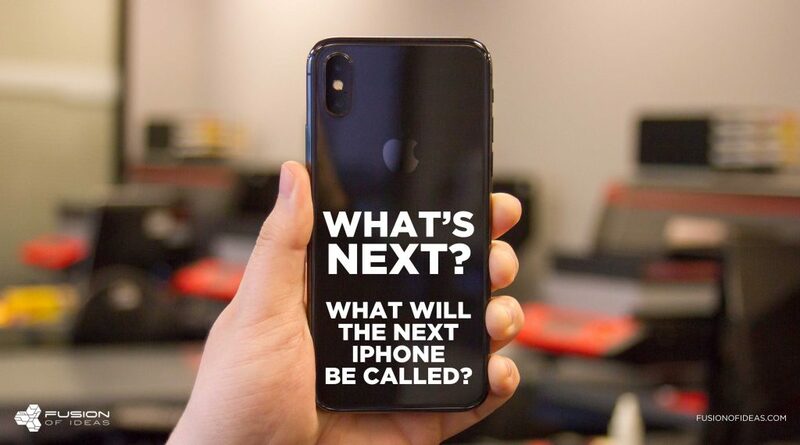 What will the next iPhone be called? There’s been a lot of speculation as to what the next iPhone will be called. It’s no secret that Apple typically chooses consecutive numbers for its iPhone releases. But since the iPhone X deviated from that pattern, the name of the next iPhone is up in the air. Will it be called be called iPhone 11? Or iPhone X1? There’s even talk of the lower-end iPhone being called iPhone SE. Rumors have been surfacing that the next generation iPhone might be getting a new name. 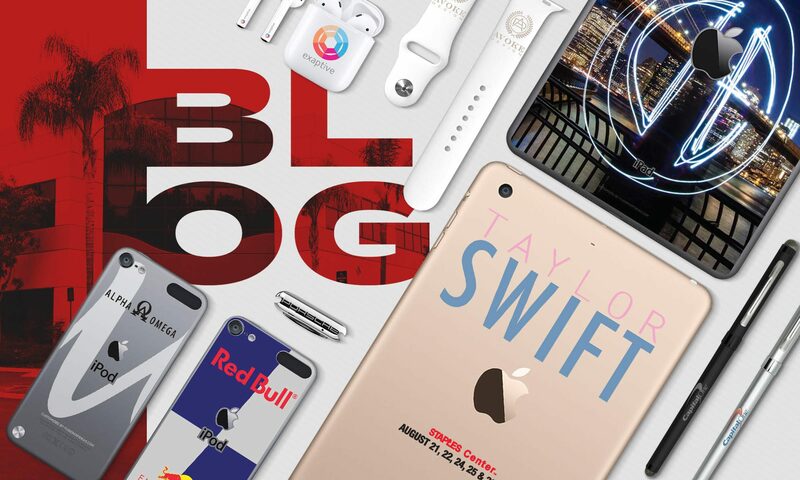 We asked our Fusion of Ideas team for their best guesses on what the new iPhone will be called. The name that got the most votes was iPhone XI. Additional suggestions and name ideas included iPhone Xs, iPhone X-1, iPhone 9, iPhone Elite, iConnect, and iPhone Pro. Whatever it’s called, we’re excited for the debut of the new iPhone and all of its new features. What do you like and dislike about the design? Apple has done it again: blending art and technology to create the new HomePod. I personally appreciate the attention to detail on how seamless the fabric mesh covers the internal components. Every detail down to the power cable, which is carefully woven together, showcases the quality of Apple products. Additionally, there are no physical buttons that might distract you from the overall design. Apple accomplished this by placing a touch screen display at the top of the speaker. I had a hard time trying to find things I did not like about the HomePod design. When comparing it to the other speakers on the market, I still chose the HomePod. We hear that you have to keep the cable installed into the HomePod. Have you found this to be a problem? Initially, I did question Apple’s decision to make the power cable non-removable when comparing it to other speakers on the market. Technically speaking, it can be removed with some force, which I do not recommend trying (this leads me to believe it’s reserved for servicing the device). If the HomePod is being used the way Apple intended it to be used, then there really is no reason for the cabled to be removed, so overall, this has not been an issue for me. What’s the audio quality like? How does the HomePod compare to similar smart speakers? Music has always been in Apple’s DNA, and they certainly proved this with the HomePod. They have upset the marketplace by offering an unparalleled audio listening experience that is like no other competing smart speaker. The audio notes are rich and clear with little to no distortion, even at a 100% volume level. Most of the other speakers on the market focus on AI technology first and speaker quality second. Is it easy to use Siri on HomePod? Have you encountered any issues? Siri is just as easy to use on the HomePod as on my current iOS devices. Of course, there are some limitations, but knowing that Siri is available practically everywhere in my home/office is great. One of the down sides to utilizing Siri on the HomePod is that it can’t distinguish my voice from someone else’s. If I allow full access through the initial set up process, anyone can ask Siri to read back my text messages, notifications, and so on. Also, I can’t set up multiple timers, which would be useful while listening to music and cooking. I really see the HomePod being used primarily for music and home automation tasks. How would the HomePod be used in a business? For now, the HomePod would be perfect inside of a conference room for taking calls – you can’t beat the amazing sound quality it provides. As Siri progresses, I can imagine a day when developers can integrate Siri into their web/mobile applications to run tasks or provide real-time information by simply asking a question. The HomePod would be the perfect gift for someone who is looking for not just a “smart speaker,” but also better sound quality at a reasonable price point. And it could be a great gift for employees or clients. Are the HomePods customizable? What areas can be customized? 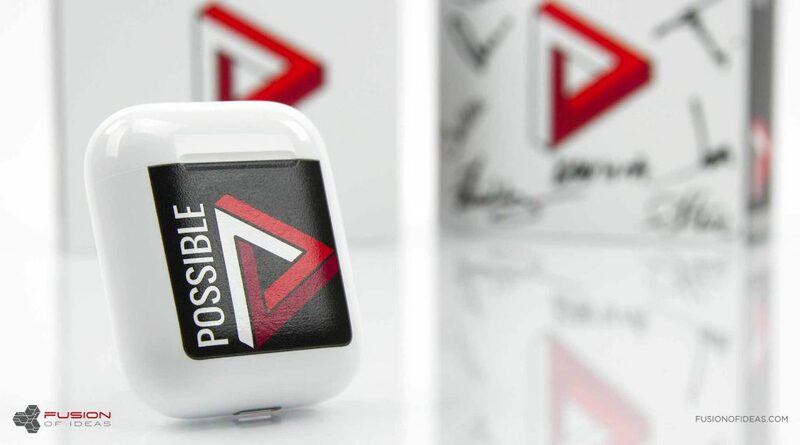 You know us – at Fusion of Ideas, we always push the limits to provide the best customized out-of-box experience. Every new product release poses new challenges for our team. Different shapes, sizes, and raw materials can all affect our capabilities. 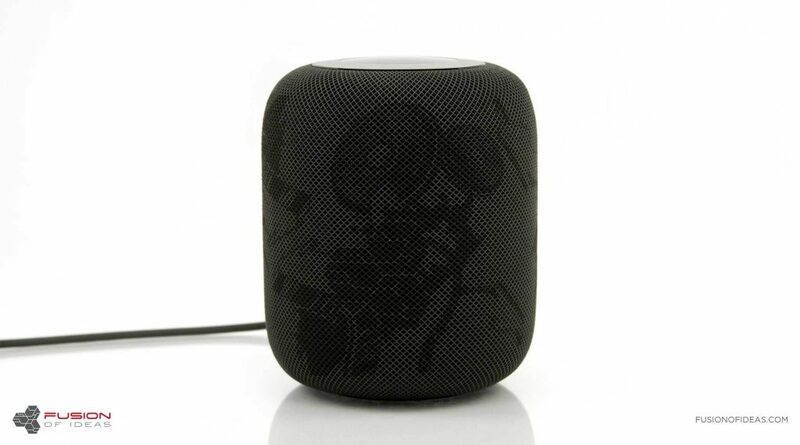 The services we currently offer for the HomePod include: custom packaging, laser etching, and our customizable film, Stealth Armor. 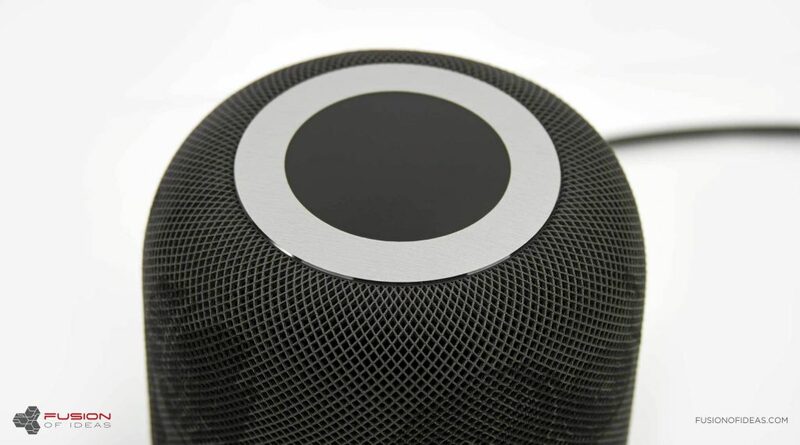 Stay tuned for more exciting HomePod capabilities as we continue to go through the research and development process. Atlas Roofing is a manufacturer of residential and commercial building materials. The company started as a single roofing shingle manufacturing facility in 1982 and is now an industry leader, distributing products worldwide. Atlas Roofing came to Fusion of Ideas in need of a solution. Their headquarters are in Atlanta, Georgia, but many of their contractors are located elsewhere and work remotely. 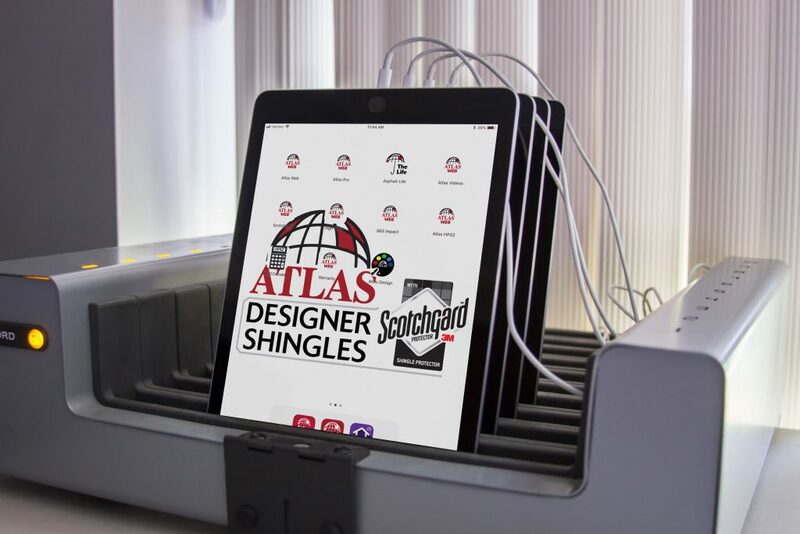 To ensure the most effective utilization of Atlas products, materials and iOS applications, executives initiated a discussion of a cellular iPad rollout that would keep everything and everyone on the same page. Atlas needed a company to handle the constant rollout and ordering of devices. They also needed specific applications preloaded onto the iPads along with unique websites, home and lock screens. The devices needed to be fully charged, cleaned, shrink wrapped and securely shipped to Atlas contractors across the nation. Fusion of Ideas was able to handle all of those requirements. By partnering with Fusion of Ideas, Atlas Roofing Corporation is able to seamlessly deploy hundreds of pre-loaded iPads to their contractors nationwide without ever having to touch a single device. These electronic devices are fully equipped with the necessary tools for contractors to execute their daily tasks efficiently. Fusion of Ideas’ services are enhancing the impact of each device, while simultaneously saving Atlas valuable time and resources. Let’s Be Frank: Have An Awesome Idea For An App? What Does It Really Take To Develop A Mobile Application With Fusion of Ideas? When starting something new, it’s never a bad idea to do a little research online to get an understanding of what it is you’re getting into. This is never more true than when you’re starting to research and brainstorm for a business app you’d like to create. Through Entrepreneur.com and other top sites, we’ve found lists of recommended questions to ask potential developers. To take some of the guesswork out of reading the details on our website at www.fusionofideas.com, we sat down with our Business Development Manager of Applications, Tim Hurlbut, and asked some of the top recommended questions to ask when interviewing an app development company. Just to name drop a few, we’ve done custom applications for Hilton Grand Vacations, Warner Brothers, Lakers, Delta, Hennessy, California Pizza Kitchen, Barney’s New York, Lionsgate, LensCrafters, NuSkin, CapitalOne, Audi, New York Public Library, etc. We’ve built all kinds of applications; whether it is a dynamic content solution for a small business or an intense client facing sales tool, our expert developers can do it all. Upon request, we would love to share some samples of our work depending on your area of interest. The majority of our clients utilize apps for B2B and internal purposes, so most of the apps we develop are not public. However, some of the applications we have developed can be found on the App Store & Google Play. Upon request, we would love to share some samples of our work. Which platforms do you develop? We are experts in both iOS and Android app development. We also have an expert team of Web Developers who are able to work in multiple programming languages. Do you provide documentation for the apps you develop? Yes, documentation is provided for apps we develop. It is also provided for source code. How do you manage quality control and testing? Quality control and testing is always provided with each phase of the project. We use the AGILE development mythology. This process includes weekly reviews and updates. Do you develop everything yourself? Do you outsource to anyone? Our team is all in-house, plugging away at their work in our offices in Southern California. We do not outsource. And better yet, you can get a hold of us at anytime with clear communication. How many App Developer companies can boast that they do all of their work under one roof, all in the USA? We can. Do you partner with an app designer or would you need us to handle that? We have our own skilled app designers who are able to take your vision to life. We are also available to work with a clients’ own design partner or style guides. What are the steps you usually take prior to building an app? Upon request, we would love to provide you with our brochure that outlines the entire app development process. Here is a sneak peak of the steps we go through to make sure we build you exactly what you want. Will you manage the process for uploading to the various app marketplaces? Do you have a developer account to do this? Yes, we will handle the app submission process to App Store, Google Play, etc. We do have our own app developer account, however the majority of our projects are built using the clients developer account, which we help them secure. Do you offer long-term app maintenance and support? Yes, we have multiple options available to clients depending upon their requirements. Generally through initial phone conversations, followed by email & webinar sessions. We are available to travel if required to meet with clients. The app projects are primarily owned by our clients. We are a work-for-hire partner and do not retain ownership rights. All of our projects are quoted as fixed price projects. We learn the clients needs. We document those requirements in a statement of work. We quote a firm fixed price and timeline to the details quote. Determining on the clients specific needs, payment terms are usually in phases or can also be done in monthly payments. 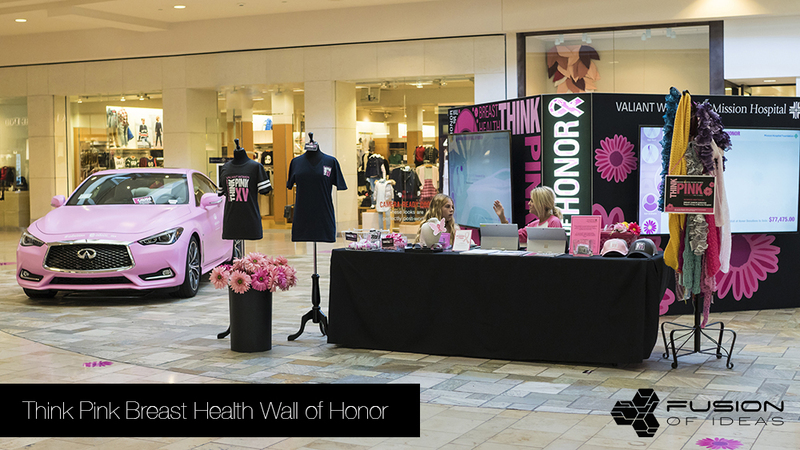 It has been another successful year working with Mission Hospital’s Valiant Women Support Group, which hosted its fifteenth annual Think Pink Breast Health Wall of Honor last October. The proceeds of this annual fundraiser go to support Mission Hospital Breast Health Services, which funds mammogram screenings and diagnostic care for under or uninsured women in the community. Every two minutes, a patient is diagnosed with breast cancer. Women have a one in eight chance of being diagnosed with breast cancer at some point in their life. Breast cancer is not a death sentence; it can be treated. Mammography is the most effective breast cancer screening procedure. Early detection saves lives. The Mission Hospital Valiant Women Support Group saves lives and makes a huge impact on families and the local community. The Wall of Honor was a place for individuals supporting and donating to write notes, thoughts, and tributes to those who have been affected by breast cancer. Two years ago, Fusion of Ideas started working with the group. As an alternative to the traditional handwritten cards placed on walls, Fusion of Ideas helped create an app that displays special honoree messages on TV screens at the mall during the fundraising event. 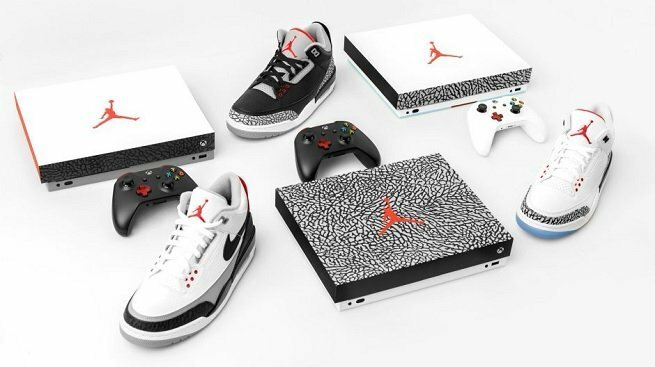 Through the interactive application, users can also contribute to the cause by purchasing special merchandise, donating funds, and learning about various activities and events taking place during the month of fundraising. The app also displayed the Think Pink Wall of Honor Instagram account, specific sponsor videos and feeds, and featured product shots of merchandise being sold for the fundraiser. Fusion of Ideas also helped create the application that houses the donations. 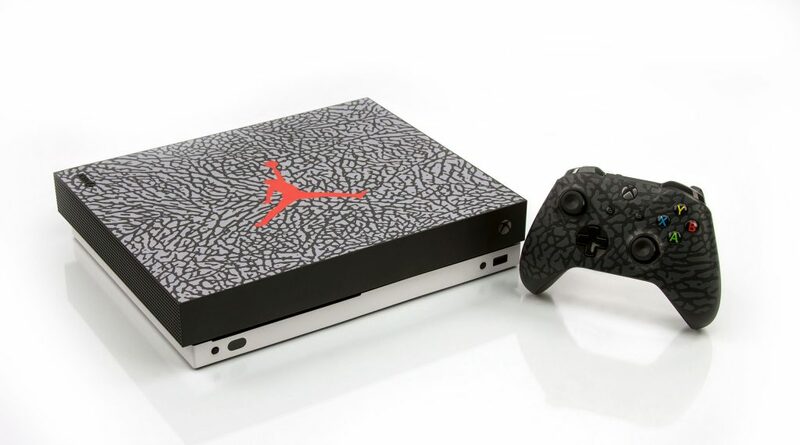 Which item do you think was the hottest gift to be customized? 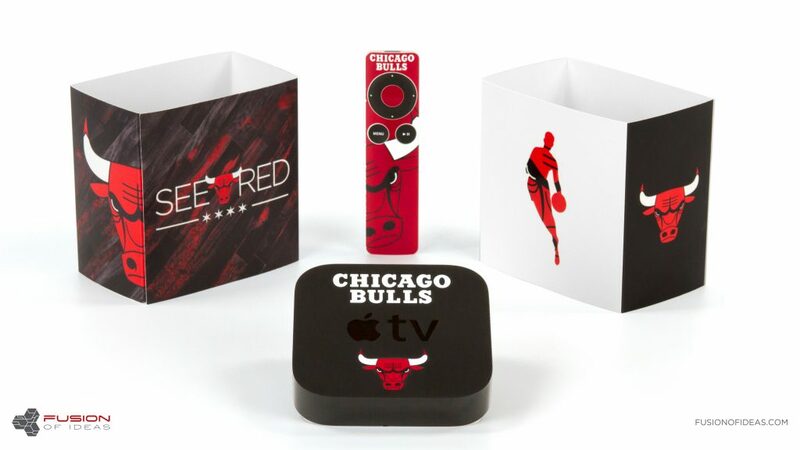 During the holiday season, we have thousands of devices that come through our doors to be customized and gift wrapped. Which of these five items do you think were given as gifts the most? Click here for the answer. Delta Defense is the first and largest member-owned association that educates, trains, equips, and insures responsibly armed Americans. President and CEO Tim Schmidt, embracing his new role as a protector after having his first child, was inspired to create the “Concealed Carry Magazine” in 2003 and later the United States Concealed Carry Association (USCCA) in 2005. With over 200,000 subscribers, the Concealed Carry Magazine is a prominent aspect of Delta Defense. But they’re not stopping there – in their attempt to reach an even greater audience, the organization continues to explore additional avenues for growth and expansion. This philosophy is what led Delta Defense to explore today’s modern platform: mobile applications. After some unsuccessful partnerships with other app developers, Delta Defense was in need of a trustworthy app development company. They needed a developer who could take their vision and translate it into a functional mobile app. 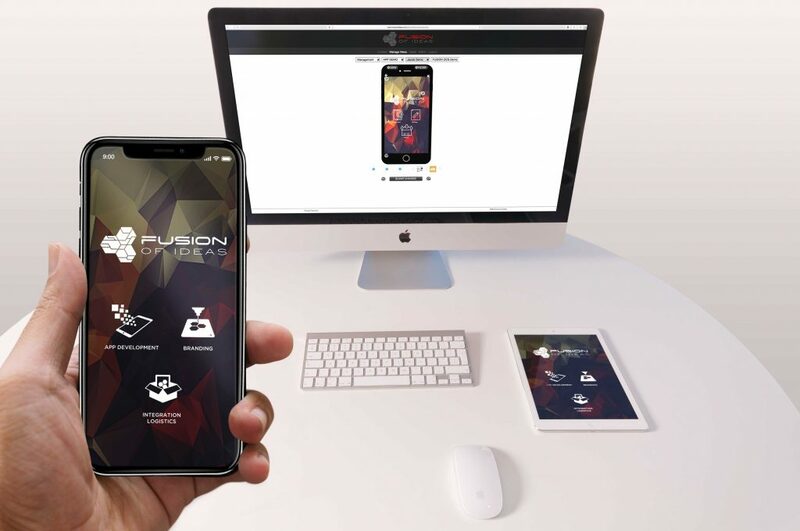 FUSION was able to address all of their concerns by aligning specific designs and functionality for their mobile application with the necessary tools to make their vision come to life. The app (free to download in the Apple App Store and Android Play) incorporates key features such as a news feed, articles, podcasts, issues of the Concealed Carry Magazine, upcoming events, gun legislation, a Reciprocity Map, and a detailed map of local gun ranges. Fusion also created an easy-to-use backend for managing all of the information and pushing updates to the app. Since the release of their mobile application, Delta Defense is now reaching and educating over one million people. FUSION’s commitment to open communication and true collaboration allowed Delta Defense to oversee all aspects of the development process from initial conception to completion. 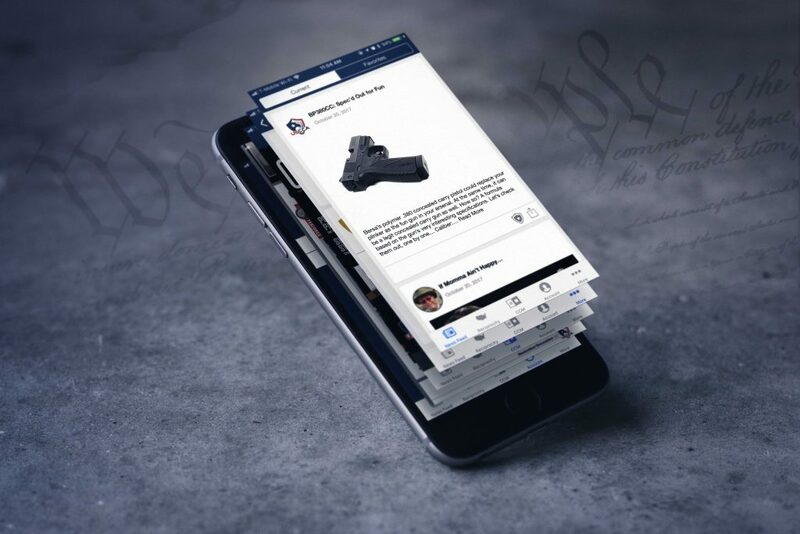 Now, more than ever, the mobile app is helping Delta Defense reach a larger, broader audience, resulting in more informed and responsible armed Americans. This November marked FUSION’s seventh year of sponsoring and working with Kidd’s Kids. Since 2011, FUSION has donated app development and customization services to the charity, who works with families of children with life-altering or life-threatening conditions. Kidd Kraddick founded Kidd’s Kids in 1991 with the goal of making a difference in the lives of children and families who are dealing with life altering conditions. Initially, the program began with a bus ride to Sea World in San Antonio, Texas. Thanks to the volunteer efforts from partners, donors, and medical professionals, along with the Kidd Kraddick Morning Show listeners’ willingness to embrace their mission, Kidd’s Kids has grown at an exponential rate. Now in its 26th year, the foundation has sent over 1000 kids and their families on a trip of a lifetime to Walt Disney World in Orlando, Florida. For over 30 years, Consultatio Real Estate has successfully developed innovative high category real estate projects in prime locations. Passionate about transforming ordinary into extraordinary, Consultatio Real Estate wanted the most high-end, absolute best for their tenants. 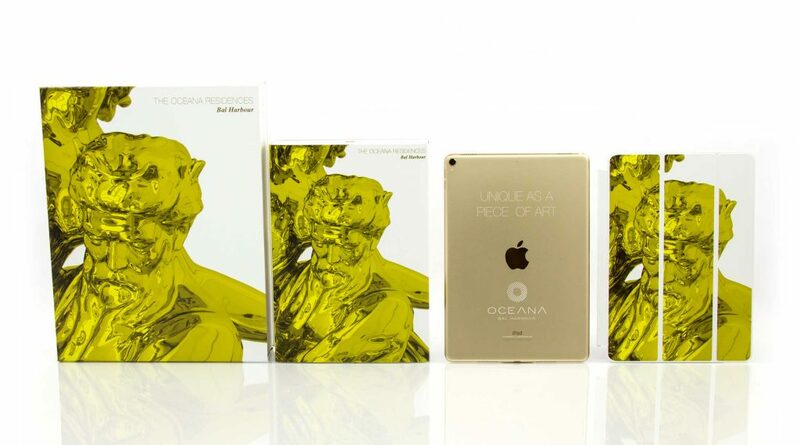 They wanted to create an unparalleled welcoming experience for new homeowners of both the Oceana Key Biscayne and Bal Harbour properties that reflected the union of art, real estate and technology. In 2014, Consultatio needed a solution for their welcoming process with their Oceana Key Biscayne project. They wanted a very unique gift experience for the tenants of Consultatio Real Estate that would capture the attention of future homeowners and provide a suitable resource for displaying the many amenities the property had to offer. As an unprecedented solution to enhance Consultatio’s welcoming process, FUSION created fully equipped and branded iPads, including a custom sleeve, branded Smart Cover, and preloaded with custom iOS content, providing each tenant with a little piece of art for their new home. The tenants loved the gift so much that Consultatio knew it needed to be part of their next project. This year, when the Bal Harbour property neared completion, Consultatio Real Estate connected with FUSION again to discuss the next rollout of customized iPads. It was quickly discovered that among the many exquisite works of art on the Bal Harbour property, one in particular stood out above the rest. Created by iconic Americana artist Jeff Koons, the mirror-polished, stainless steel sculpture “Pluto and Proserpina” stands over 10 feet tall and serves as a centerpiece of the property. Using this masterpiece as an inspiration, FUSION presented a new complete iPad package with a design that surpassed expectations. Consultatio loved the new packaging and exquisite custom gift boxes built specifically for their custom project with high-end materials fit to be displayed on a coffee table. The iPads were customized with pre-loaded content about the property and its amenities. A custom printed Smart Cover paired nicely with the full-color printed iPad. A custom sleeve was also fitted around the iPad box before it was inserted into the gift box. The result was a stunning, one-of-a-kind gift for each tenant to feel welcomed and cherished.